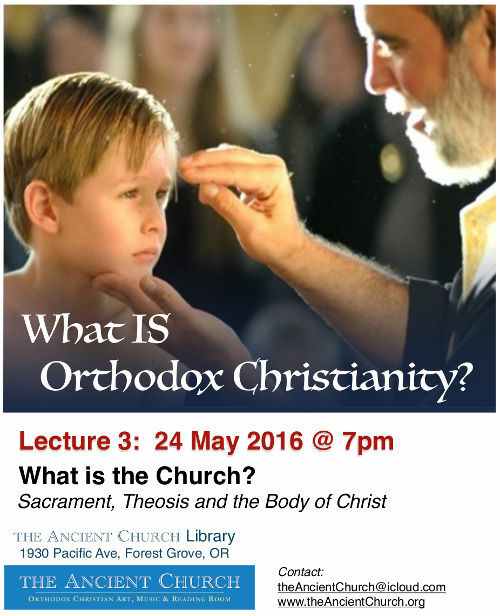 The third one of the series given at The Ancient Church Library at 7pm on May 24th. What is a sacrament? And how is the Orthodox understanding of sacrament different from the western idea of symbol? What is God’s ultimate purpose for the human person? And what is the Church, the mystical “Body of Christ”? This entry was posted in classes, lectures and tagged Ancient Church Reading Room, Fr Theodore Dorrance. Bookmark the permalink.